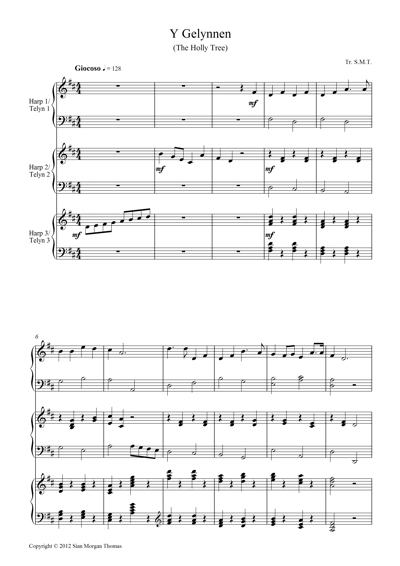 It has been suggested that, as holly and ivy were used magically from early heathen times, this was an incantation song to drive out evil spirits. 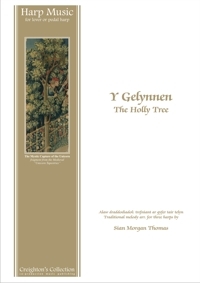 There are several versions bearing the title Y Gelynnen, but the folk-song used in this arrangement is the best known, and comes from a collection of Anglesey folk-songs, recorded by Grace Gwyneddon Davies, and published at the beginning of the last century (1914?). The lyrics refer to an invitation to people to gather together in order to praise the virtue of the Holly Tree. It is therefore an apt choice as a signature tune for a light entertainment television series in Welsh, Noson Lawen, which means a Merry Evening. A Noson Lawen is traditionally an evening of singing and story telling held around the fireside.